You would do anything to keep your family safe, right? Well, Reader’s Digest estimates that nearly 4 million homes will be burglarized in 2017. In order to make sure that yours isn’t one of them, it’s important to take the necessary safety precautions. 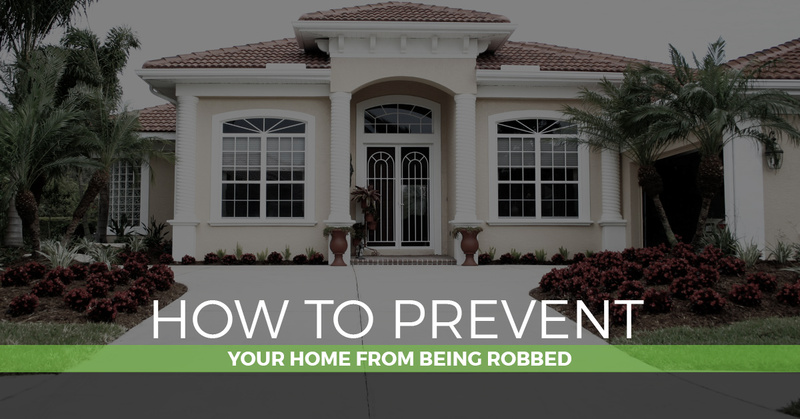 This blog goes through some of the more common signs that your home is vulnerable to being robbed. Your leave your front door unlocked – Believe it or not, but half of burglars enter through the front door. What’s more alarming about this stat is that intruders do so without needing to use force. If you find yourself leaving your front door unlocked or even propped open, it’s time to kick the habit. This is basically an open invitation to a burglar. Keep in mind, also, that the majority of break-ins occur between 10 a.m. and 3 p.m. Your garbage can is full of electronics boxes – The more intelligent thieves do a bit of research prior to breaking into a person’s home. Consider that setting out the box from your new flatscreen television or high-end gaming console on the curb tells everyone that those items are in your home. Remember that burglars will go for cash first, followed by electronics. With that in mind, it’s a good idea to take a few seconds to break down these large boxes and bundle them together so the label can’t be seen. You live in low-visibility places – Burglars tend to avoid high-traffic areas, such as corner homes. But townhomes or houses in the middle of the block are much easier targets. As a homeowner, you want to make your house as difficult as possible to access. Think about installing high fences, plenty of lighting, and some sort of home security system. You frequently leave your windows open – Similar to an unlocked front door, an open window says “Come on in!” to a burglar. We don’t have to tell you that summers in Baltimore can get unbearably hot in a hurry, which is why many folks leave windows cracked open. If you must do this, try using a window jamb so that the pane can only be pushed open a few inches. You post countless vacation pictures online – We touched on this in a previous home security systems post, but adding pictures to social media while on vacation immediately makes your house a prime target to be burglarized. Double-check to make sure that your social media profiles are set to private and hold off on posting those pictures until you get home. Folks in Baltimore often turn to us when they need a locksmith. But we do so much more than that! We are proud to also specialize in top-of-the-line home security systems. From home alarm systems to home security cameras, our team goes the extra mile in protecting your family. Our products offer 24/7 surveillance, allowing you to feel always feel safe in your home. Rest assured that we only use the industry’s leading brands and manufacturers, meaning you will benefit from the best technology available. Don’t settle for anything less than optimal home security. Call Safeway Lock and Key today to get started.